NY: Knopf Doubleday Publishing Group, 2010. 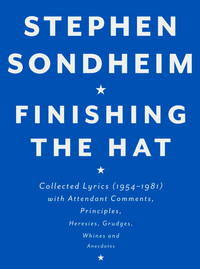 Tight, clean (presumably unread copy of the first edition of this book of collected lyrics (1954-1981) with comments by the author. 445 pp. . First Edition. Hard Cover. Fine/Fine. 4to - over 9¾" - 12" tall. NY: Funk & Wagnalls Company, 1953. Dust jacket shows some minor wear to spine ends and a small chip to bottom of front panel. Bound in blue cloth, stamped in gold. A very nice copy of the true first edition (with the "1" present on the copyright page) of the author's second book. 237 pp. . First Edition. Hard Cover. Near Fine/Very Good +. Boston: Manning & Loring, 1799. New cloth spine and matching endsheets, but the book maintains its original boards. Previous owner's name (Jane Allen) and the date 1826 on the second front endpaper. Overall, a most acceptable copy of the first U.S. edition of this title by the noted British poet. Southey was the Poet Laureate for thirty years prior to his death in 1843. 132 pp. . First American Edition. Hard Cover. Very Good/No Jacket. 12mo - over 6¾" - 7¾" tall. NY: Random House, 1957. This book is in the preferred first state red binding with gray top edge. Threaded gray endsheets. The dustwrapper maintains the $3.95 price. A tight, clean copy of this, the second novel in the Snopes Trilogy. A bit hard to locate in this protected condition. 371 pp.. First Edition. Hard Cover. Near Fine/Near Fine. 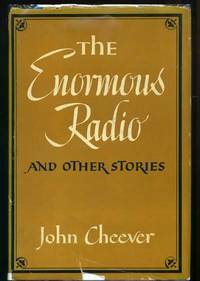 New York, New York, U.S.A.: Grove Press, 2003. 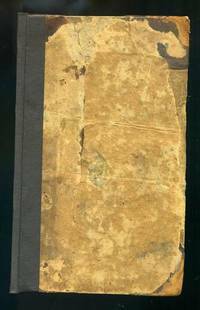 Bound in yellow cloth and boards, stamped in blue. 243 pp. 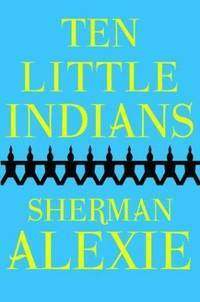 Tight, clean copy of the first edition of this book of nine short stories by the versatile Mr. Alexie. . First Edition. Hard Cover. Near Fine/Near Fine. London: Faber and Faber Limited, 1967. Tight, clean, presumably unread copy of this, the first British edition of this early novel by Golding. 217 pp. Dust jacket art by Leonard Rosoman.. First British Edition. Hard Cover. Near Fine/Near Fine. London: Faber and Faber Limited, 1958. Tight, clean, presumably unread copy of this, the first British edition of this early play by Golding. 80 pp. Dust jacket art by Anthony Gross. . First British Edition. Hard Cover. Near Fine/Near Fine. New York: World, 1968. Bound in black and blue boards. Slight (typical) yellowing to pages. Overall a stunning copy of the first edition of this Play by Rand. Scarce in this protected condition. 124 pp.. First Edition. Hard Cover. Near Fine/Near Fine. New York: Scribners, 1988. Signed & inscribed on the title page; Author-signed typed letter (TLS) laid-in; 134pp.. Inscribed and Signed By Author. First Edition. Hard Cover. Near Fine/Near Fine. LONDON: Michael Joseph, 1955. Ref. Makinen, A1. 16; previous owners name on ffep. ; 223pp. A very respectable copy of this Cary first edition, by the author of "The Horses' Mouth". . First British Edition. Hard Cover. VG++/VG++. New York: Random House, 1946. Typical chipping to extremes of the dustwrapper. Author's seventh book; twelve short stories; 212pp. By the author of "Sailor Off the Bremen". . First Edition. Hard Cover. VG++/VG+. New York: Morrow, 1992. Basis for the movie; translated by Andrea Lingenfelter; 255pp.. First U.S. Edition. Hard Cover. Near Fine/Near Fine. NY: William Morrow & Co., 1993. in NF dustwrapper. The first edition of the author's fourth book -- a bit hard-to-find. By the noted author of "The Gold-Bug Variations". The tiniest red pen dot on bottom edge.. First Edition. Hard Cover. Near Fine/Near Fine. NY: Seabury, 1979. Beautiful review copy of this 246 pp. book of essays by the noted Nobel-Prize winning author. Essays were written between 1962 and 1974. Review slip neatly stapled to ffep. Ex-Wilson Quarterly copy (stamp).. First Edition. Hard Cover. Near Fine/Near Fine. Boston: Little, Brown, 1976. 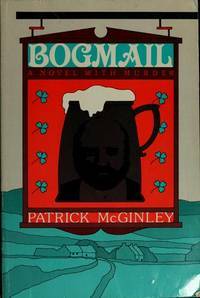 The first edition of the author's first novel (and first commercial publication) that was preceeded by a wraps book published when Carroll was a priest. Tight, clean copy.. First Edition. Hard Cover. Near Fine/Near Fine. NY: Random House, 1972. Nice, bright first edition of this, the author's sixth book that went on to win the National Book Award in the year of publication. Prev. owner's neat, small initials on ffep. and slight crease to front d.w. flap. Still a great copy!. First Edition. Hard Cover. Near Fine/Near Fine. GA: University of Georgia Press, 1989. The scarce first edition of the author's first book. Great copy of this book that won the Flannery O'Connor Award for Short Fiction in the year that it was published. Only flaw is slight wrinkling to top edge of d.w. spine.. First Edition. Hard Cover. Near Fine/Near Fine.